Last week I wrote to Dartmouth Town Council asking them to debate the threat to the towns economic welfare resulting from the declining visitor numbers reported weekly on this website. With regular measurements of around 30% decline, I am concerned at the impact this is having on the town’s economy and the effect this will have on the community and employment prospects. 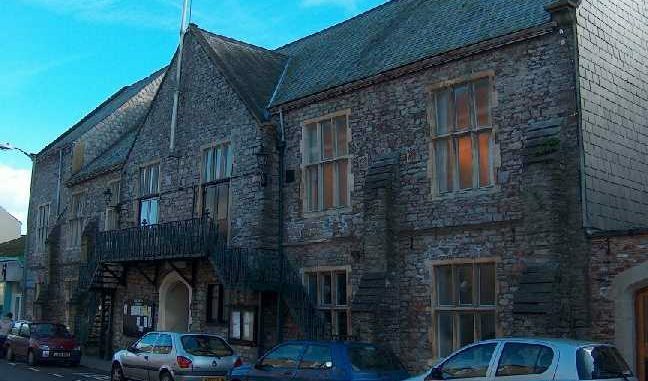 At last nights Full Council meeting the Councillors firstly refused to accept that there has been a decline in visitors to Dartmouth, and secondly that they would not be prepared to discuss the problem at their General Purposes committee. At the same time Councillor Cook, last years Mayor, made a personal attack on me, accusing me of being the person in charge, and therefore responsible for the failure of the BID, who has been “banging on about footfall” ever since! He also suggested that the Springboard footfall figures do not agree with the TIC footfall counter, which shows that there has not been a decline. He said he does not believe there is a decline, and went on to state the only way to determine the effect on the town was to ask all businesses for their turnover figures . He also argued that every retail high street in the UK is suffering so we should accept a decline in ours! I attended the meeting in the hope that I could participate in a constructive debate. Unfortunately, I was not permitted to speak. Therefore, I will use this website to comment on both my proposal and the Town Council’s response. In the absence of those other measures, I believe that the big year on year decline measured on the Quay in Dartmouth (look just inside left of the Fudge shop window to see the camera) is sufficient for the Council to respond to a problem that is central to their long term Strategy. This should include gathering other traffic data to understand what is really happening. Ie: what is the impact of the supermarkets at the top of town, the loss of high street banking and our hospital, and how are they connected to the reduced footfall? A discussion that I feel is vital for the future of the town and its prosperity. I was not a member of the BID Board or involved when the BID was closed. If the TIC footfall figures challenge the Springboard results then please send them to me so I can publish them alongside other measurements. Monthly figures for the last 5 years should be enough. Cllr. Cook displays commercial naivety if he thinks businesses would readily tell outsiders what their turnover is. Even the British Retail Consortium recognise that and claim that “footfall is the only way of measuring retail activity empirically”. Every retail high street is suffering, with some exceptions. However, I maintain we should not be measured as a retail high street but as a tourist destination, as described in the Town Councils strategy. Tourism in the UK has boomed this year because of the hot summer and weak exchange rate. Overseas visitors to the UK have increased, rail traffic to St Ives, for instance, has gone up 20%. So you are comparing Dartmouth with the wrong base. In any case some non tourist towns are responding with novel changes to their town centers and achieving good results. My conclusion from this experience is that Dartmouth Town Council seems not to understand how seriously the economic impact is effecting the town. There is no understanding how footfall impacts a community in other ways – like Bank closures etc. The Businesses are the heart of a community pumping the money around its arteries keeping it going. Ignore them at your peril. If the Town Council does not respond to this challenge then their legacy will not be a good one. I agree with point 4. In any event I would like to see a strategic plan around increasing Dartmouth’s appeal as a tourist destination. We seem to have become a little split on this as a town just as we are on a number of issues. I hope the town council will take the lead on bringing together these different voices and finding a way forward. There is no doubt that a coherent plan is important for the future of the town. 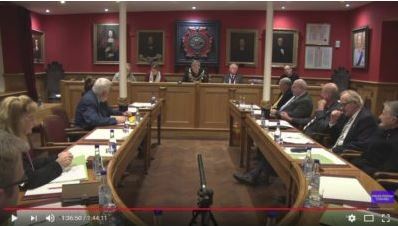 Nobody is allowed to SPEAK at a council meeting Paul you should know that but I am sure most of the councillors will hopefully realise when it comes to the vote in March that they wish they had let members have there say. And as for Cook he just likes to here his own voice don’t let them put you down Paul. And as for saying it was you that was responsible for the failure of the Dartmouth BID well what a load of rubbish he talks well what do you expect from someone who is constantly full of the old red stuff. Martin, I know I bang on about it but the BID strategic plan came out of a 12 month comprehensive consultation with businesses in the town so it remains the best definition of what at least the businesses would like to see. I have a copy if you are interested.